The Build Your Own Pavilion national workshop tour kicked off in London, at the Institute of Imagination’s second annual Mini-Maker Faire. 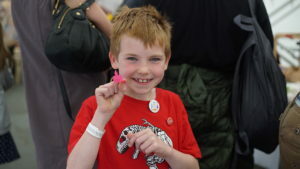 Designed especially for children and their families, the faire was a two-day celebration of invention and innovation for the next generation of makers. 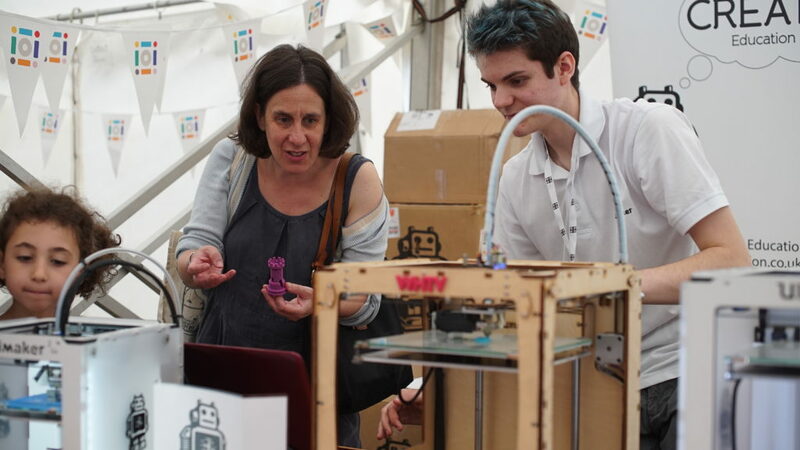 It brought together over 20 exhibitors, ranging from crafters, tech enthusiasts, engineers, artists and scientists, all with great ideas to get young people making, designing and thinking! 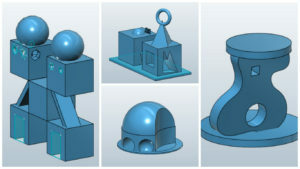 Kidesign were in the mix, challenging young architects to come up with innovative digital designs for summer Pavilions. Starting with drawing and sketching their ideas from different angles, Dejan and his team then helped everyone get to grips with 3D computer software and translate their ideas to 3D digital models. Some of our designers chose to create pavilions that featured curving or spherical elements, whereas some experimented with combinations of geometric forms, both approaches yielding some interesting results. The end results were a fantastic range of 3D CAD models, plus our budding architects got the chance to see their creations 3D-printed! 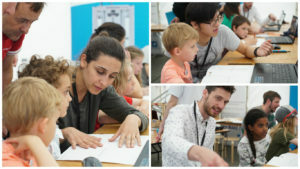 Overall, it was a fantastic weekend full of opportunities for young minds to learn through interaction and making, and we wish everyone who took part the best of luck in the Build Your Own Pavilion competition! Feeling inspired? Why not check out our resources and create your own pavilion design? 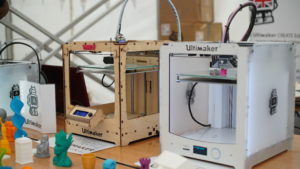 3D modelling software 123D by Autodesk is absolutely free, we’ve even got video tutorials to help you get started.